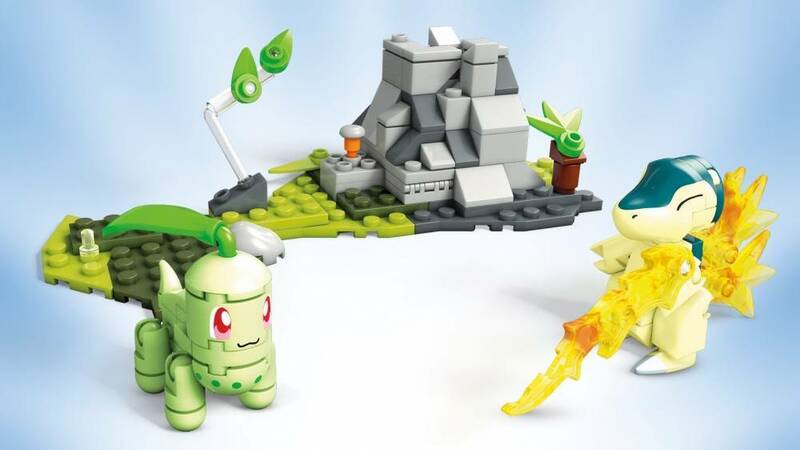 Create action-packed battles in the Johto region with Cyndaquil versus Chikorita! 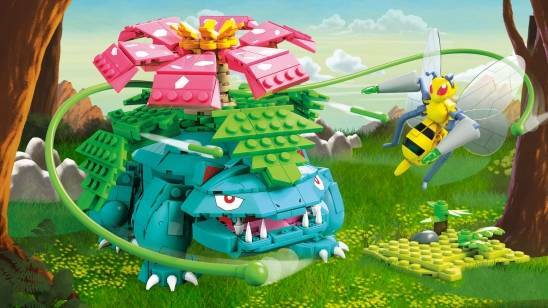 Choose your Pokémon and battle to become the greatest! 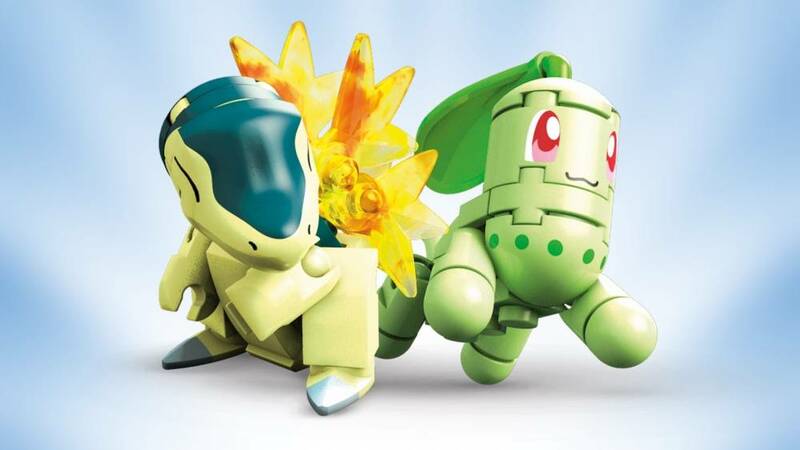 It’s Chikorita against Cyndaquil when you create your own Johto showdowns between these two iconic partner Pokémon! 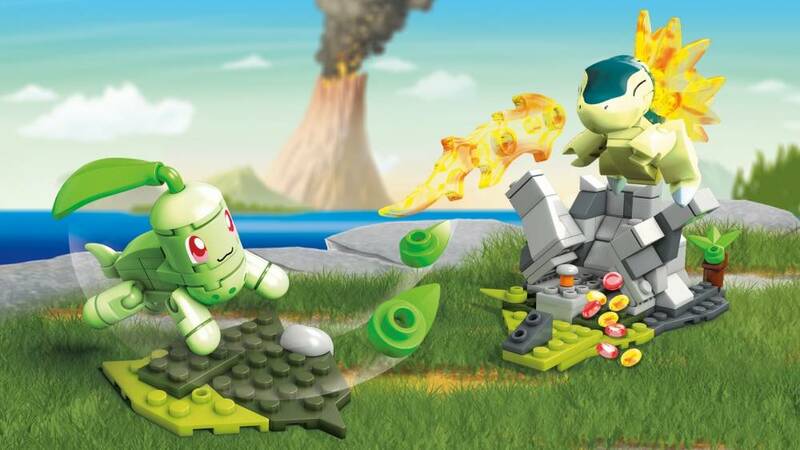 Build your Pokémon and set the scene for a battle, and prepare to unleash opposing Grass-type and Fire-type attacks. 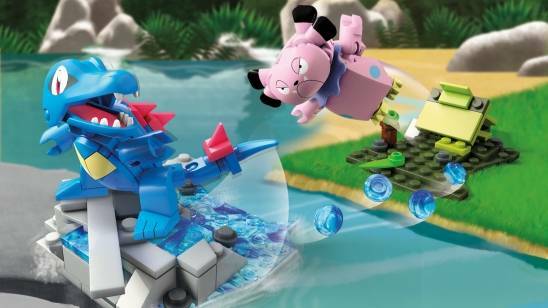 Then press to activate the action pieces and face off when you let loose with exciting battle effects!